Here are some of the most frequent ones we get asked. 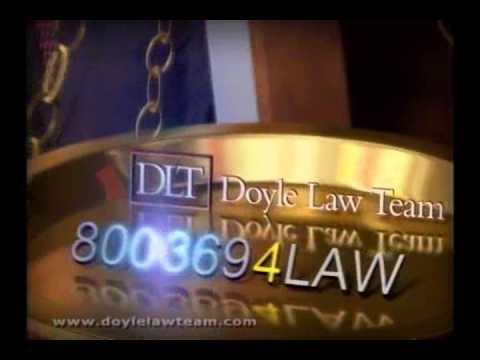 If you agree to handle my personal injury case, what can I expect from Doyle Law Team? Over our 45 years experience in the practice of law, we have developed a philosophy of both pursuing justified claims in an aggressive manner on behalf of our clients and also using an holistic approach with clients as a counselor at law. While this may seem contradictory at first blush, if you are considering the overall interest of your client as a whole when advising them as to what is the best course of action for them to take, one needs to take an holistic approach. Once a determination is made that it is in the client’s best interest to proceed, and the case is legally and morally justifiable, then it is incumbent upon the law firm to use every means available to aggressively seek a quick and successful resolution. Our law firm pays attention to the needs of the entire family unit and the client, even though they may not seem to directly relate to the injuries suffered. We anticipate, for example, stresses placed upon a spouse and the children due to the limitations of someone seriously injured, especially if they are a substantial provider of income to the family. Think of the stress of a father who cannot work due to severe injuries from a serious auto crashes which leaves the family monetarily strapped until he is able to return to work and the case can be resolved. This means he will likely be unable to fix things around the house or play with the children. Also, pain and money pressures cause one to become depressed and withdrawn, which children, co-workers and spouses may misinterpret. Sometimes family counseling is needed, and help in finding the right government and social agencies to provide for money, medical services, home health care and a raft of other considerations should all be part and parcel of what an attorneys does for his client during the course of handling any kind of personal injury claim. 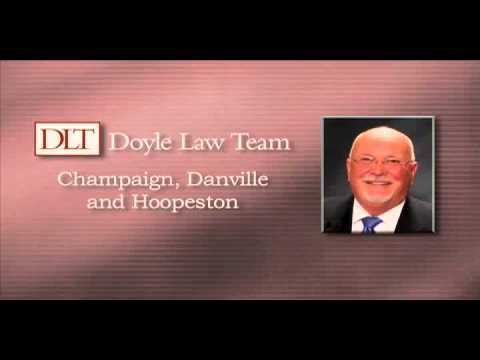 What makes Doyle Law Team, p.c. different from all those other legal firms? The need to protect the rights of the individual permeates our philosophy at Doyle Law Team, p.c. largely due to our background and extensive experience. The attorneys at Doyle Law Team, p.c. are not afraid to take on big business or big corporations. It is against our policy to represent any insurance companies, so as to avoid even the appearance of a conflict of interest. We do, however, represent small to medium size businesses in bringing or defending claims against insurance companies or larger corporations. Do you only represent “big ticket” cases? 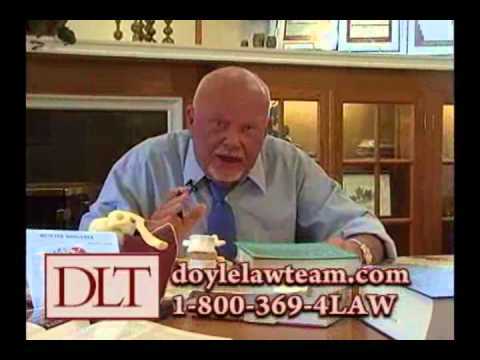 Doyle Law Team, p.c. represents a wide variety of individuals ranging, literally, all the way from the homeless to university professors. For example, we have successfully represented a well known and highly respected medical doctor whose wife suffered brain injury and blindness as a result of medical negligence. At the same time, we help destitute persons win Social Security Income benefits so they can get needed medications and housing. My past experiences with lawyers have always been stressful. Why would I expect it to be different with you? Since 1985, our main office in Danville, Illinois has been located in a three story, turn-of-the-century English Tudor, which is bricked and features timber beams in stucco masonry (see picture). It was converted to efficient office usage without destroying the charm and beauty of this stately structure. By carefully landscaping the firm’s parking lot alongside the building, we were able to preserve the outside appearance as well. This and the other offices of Doyle Law Team, p.c. in Champaign and Hoopeston are all handicapped accessible. A cheerful and friendly office staff greet all visitors and clients with an offer of coffee or a bottled water as they settle them into the English oak paneled waiting area or usher them into a conference room which still features a working fireplace and an overstuffed leather chair. A homey atmosphere is emphasized to put people at ease and make them comfortable and relaxed. We recognize that visiting an attorneys can be a stressful matter and talking about the nature of the illness or death that could be involved is also highly emotional. We want to do everything we can to relieve as much of that stress as possible and make every person’s visit to our offices comfortable. There is never any pressure for people to rush into decision making, nor any charge for the initial consultation. We are glad to answer your questions without obligation.